Yay, it’s finally February! The January Market sabbatical is over and London’s Market scene is coming back to life. From pancake races to valentines markets, February and March bring a host of awesome markets and special events for you to discover and enjoy. Visit London’s on-trend, cool-cutting, urban market. 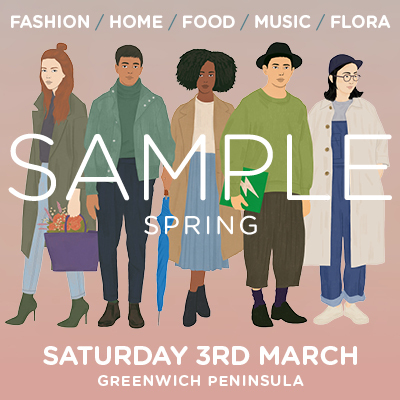 On Saturday 3rd March 2018, Greenwich Peninsula, London’s newest creative neighbourhood, presents the return of SAMPLE in partnership with Hemingway Design – a unique pop-up urban market celebrating best of London’s homegrown talent. SAMPLE aims to showcase a wide-ranging, carefully curated mix of interesting brands, independent producers and artists, setting the scene and whetting the appetite for the season ahead. FIND OUT MORE. HOT PICK! Vintage Pop-UP Fairs London, brings you vintage shopping with swing this February and March. 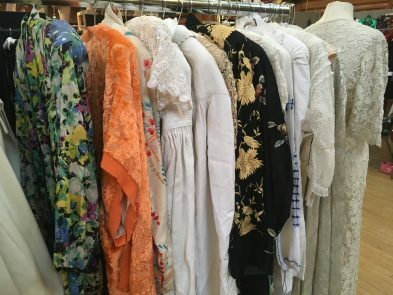 A great pick for anyone with a passion for vintage fashion. Live music is also thrown into the mix at the Walthamstow and Hamspstead Fairs, so you can jive whilst you shop! 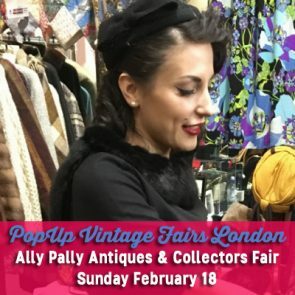 PopUp Vintage Fairs London at Alexandra Palace Antiques and Collectors Fair, Sunday February 18. 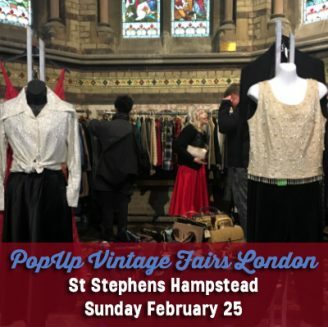 PopUp Vintage Fairs London at St Stephens in Hampstead on Sunday Feb 25. 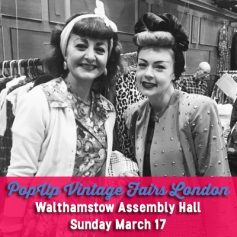 PopUp Vintage Fairs London at the Walthamstow Assembly on Sunday March 17. A feast of twentieth century antiques, furniture, retro and vintage. Head to Catford to indulge in some serious bargain hunting. Entry is reduced to £2 if you follow @solastc on Facebook, Twitter or Instagram. Just show your phone on the door. There’s a tea room and street food too! So Last Century Vintage and Retro Fair, Sunday Feb 11, Catford, Click here. So Last Century Vintage and Retro Fair, Sunday March 4- Beckenham. Click here . HOT PICK! 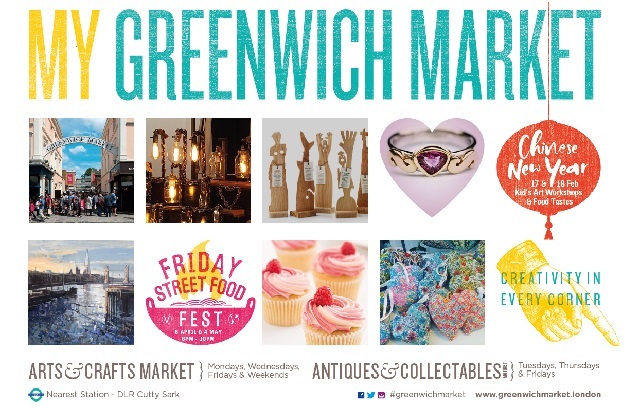 Greenwich Market – Mothers Day Weekend. We will provide all the materials and lots of help! Wei Chen from Papermoon is hosting free children’s origami workshops and will show you how to make your own paper dog or pretty paper Chinese lanterns. Chinese Food Stalls and festivities galore. A great little market with over 20 stalls to explore. 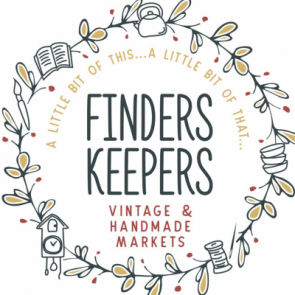 The next Finders Keepers London Vintage and Handmade Market takes place on Feb 17 . Click here. There is also a Vintage Night Market taking place at the Green Goose in Bow on Thursday March 8 . Click here. 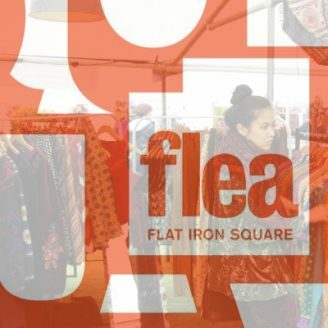 A carefully curated market which if home to an array of vintage clothing, bric a brac, antiques, jewellery, textiles, vinyl, lighting and work by new designer makers. Click here. Gilles Chauvin and John Vassallo fell in love with Swing and Rock’n’Roll at an early age through dancing and DJ-ing in particular. London Farmers’ Markets are London’s biggest market operator, bringing fresh and seasonal foods and produce to the capital across 23 different locations. Every week you can enjoy shopping fresh and local, whilst connecting with your neighbours and local community. Find your local farmer’s market here. Easter Egg Hunts Are Coming! Easter Egg treasure hunts are taking place over during March. Great entertainament for the kids leaving the adults free to shop away! Children find the clues to win either a box of real farmers market eggs or a chocolate version if they prefer. It’s free to take part. This gem of a vintage market is being held at the Kensington Town Hall on Sunday February 11. Ealing Atisan Market – Valentines Special. Click here. Bethnal Green Affordable Vintage Fair, Sunday Feb 11. Click here. The Posh Jumble is a beast of a designer Jumble Sale in Wanstead on February 17. Click here. The Brixton Vegan Market returns to Station Road Market on Sunday Feb 25, and Sunday March 25. Click here.